petition: These Laws Could Prevent Mass Shootings. It's Time to Implement Them in All 50 States. These Laws Could Prevent Mass Shootings. It's Time to Implement Them in All 50 States. 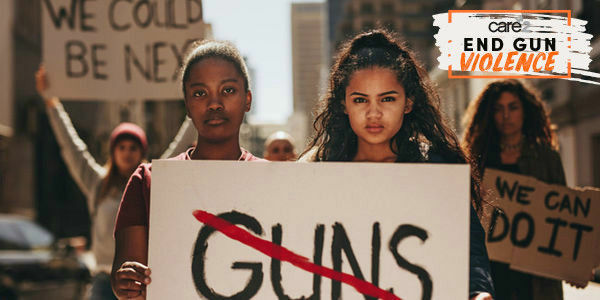 Red Flag laws — also called Extreme Risk Protection Orders — allow police, family members, or other concerned individuals to petition a judge to temporarily remove guns from people who are a threat to themselves or to others. The Valentine's Day 2018 mass shooting in Parkland, Florida, would never have happened if Florida had a Red Flag law in place. US Representative Gabby Giffords and 18 others would not have been shot in Tucson, AZ on January 8, 2011. And 12 movie-goers would not have been killed by a gunman in Aurora, CO on July 20, 2012. The Brady Center reports that 42 percent of mass shooters revealed warning signs before they committed their crimes. But without a law in place to keep guns away from people who showed warning signs, families didn't have any way to stop these tragedies before it's too late. Red Flag laws would save lives, but only 13 states and the District of Columbia have them. Please sign this petition to demand that the legislators and governors in the remaining states adopt Red Flag laws now. These states are Wisconsin, Pennsylvania, Alabama, Alaska, Arizona, Arkansas, Colorado, Georgia, Hawaii, Idaho, Iowa, Kansas, Kentucky, Louisiana, Maine, Michigan, Minnesota, Mississippi, Missouri, Montana, Nebraska, Nevada, New Hampshire, New Mexico, New York, North Carolina, North Dakota, Ohio, Oklahoma, South Carolina, South Dakota, Tennessee, Texas, Utah, Virginia, West Virginia, and Wyoming.